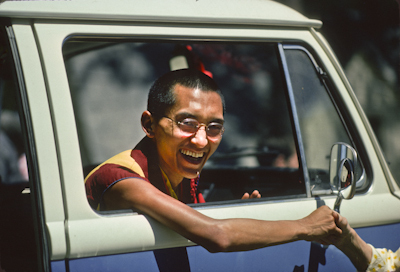 For more than twenty years, Lama Yeshe Wisdom Archive has been excelling at fulfilling its twin missions: preserving the precious teachings of Lama Yeshe and Lama Zopa Rinpoche and making these teachings available to all. In this way we offer the Dharma, with its message of love, compassion and equanimity towards all, to interested students and seekers the world over. When the teachings materialize in a book they can go very far; they can go all over the world, and reach people everywhere. So can you imagine? The benefits are really unbelievable. Of course, we can’t travel that much but books can go everywhere. So this is one of the great activities of the FPMT. Through books we awaken people’s minds, suffering beings’ minds, from the deep sleep of ignorance. LYWA materializes teachings not just in books but also on our website, in multimedia presentations, in audio books and ebooks. In these myriad ways we reach people in every corner of the world, helping them cultivate wisdom and peace in their minds so that they in turn can benefit as many beings as possible. Over the past five years we have published more than twenty new print books, ebooks, audio books and print-on-demand titles, including Sun of Devotion: Stream of Blessings, Abiding in the Retreat, two ebooks drawn from Lama Zopa Rinpoche’s teachings at Kopan courses, and fully revised editions of Teachings from Tibet and Teachings from the Vajrasattva Retreat. 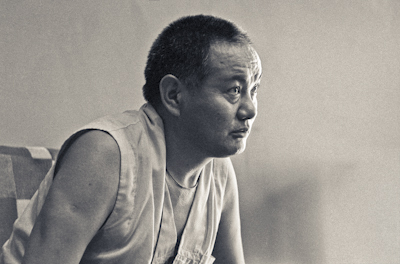 Next year we will publish Lama Yeshe’s biography, Big Love: The Life and Teachings of Lama Yeshe. The design phase of the book is nearly complete and we are planning on printing it early 2019. Following that we will publish Lamrim Year, a book of daily contemplations drawn from the teachings of Lama Yeshe and Lama Zopa Rinpoche and based on the lamrim outline. Over the past five years we have reprinted more than 100,000 copies of our existing titles, bringing the number of Archive books in print to over 800,000. In addition, there are many tens of thousands of LYWA titles printed in languages other than English as well as reprints commissioned and printed by other FPMT Centers. Our website remains the most complete source of all published transcripts from the Archive, with thousands of teachings freely available, all categorized, tagged, and fully searchable. Each month, the average number of unique visitors to our website tops 100,000. Two years ago we launched a companion website, Teachings from Tibet, based upon the teachings on the LYWA publication of the same name. 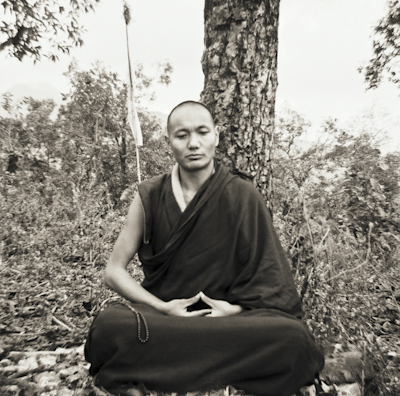 In addition to a selection of teachings from Lama Yeshe and Lama Zopa Rinpoche, this site features teachings from some of the most revered Tibetan teachers of our time. Each year, 11,000 copies of our ebooks are downloaded from our online ebook vendors. Many thousands of website visitors also download pdfs of our free titles or read them online. 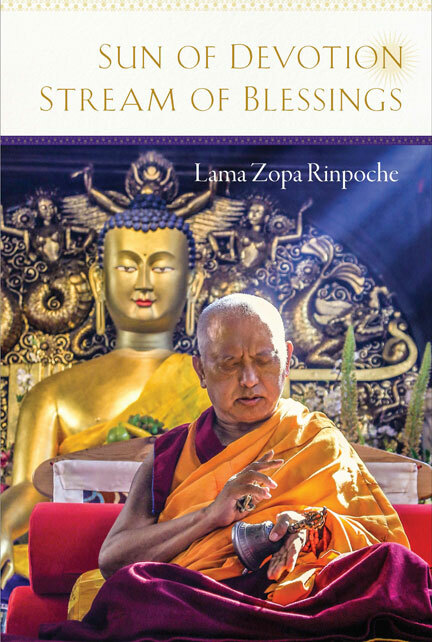 And Lama Zopa Rinpoche’s Online Advice book continues to grow, with on average ten new advices posted to our website each month, bringing the total number of entries in the Online Advice Book to more than 2,000. Supporting all this publishing activity of course is our team of transcribers, who work diligently to transcribe the ever-growing collection of teachings in our Archive. In the past five years, nearly 4,000 transcripts have been transcribed and/or checked. Of the more than 1,900 recorded teachings events in our database, just over 60% have been transcribed; only a quarter of these have been checked. There are numberless riches yet to be discovered in this precious collection. As our online audience grows, we have steadily increased our digital offerings meet the demand. Our library of multimedia presentations – which complements transcripts with audio, video and images – has steadily grown. We now have more than twenty multimedia titles freely available, including Life, Death and After Death, Freedom Through Understanding, Bodhisattva Attitude and Guru Puja is the Heart Practice. In recent years we have released sixty-five new videos on our YouTube channel to over 1,200 subscribers. In 2017, we had 130,000 views of videos on our YouTube. And since we revamped our podcast two years ago 46,000 audio episodes have been downloaded from our podcast page and website. The Archive maintains a vibrant social media community, sending out Dharma gems daily to the nearly 135,000 followers on Facebook and 15,000 more followers on other social media sites such as Twitter and Instagram. And each year we add over 2000 new subscribers to our monthly eletter; we now have over 10,000 active recipients of our eletter each month. We can all rejoice that the efforts we have made together to offer the Dharma around the world is so successful. Each month more than sixty new people contact the Archive to either order materials, make a donation or both. And our Membership program is still growing; we’ve added 130 new members donating $1,000 or more since 2014, members who have access to ebook and print versions of every book published of Lama Yeshe’s and Lama Zopa Rinpoche’s teachings. 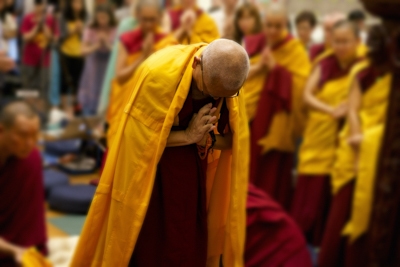 It’s clear that every day our myriad activities—outlined above and supported by you—continuously reach those newly interested in the Dharma and the teachings of Lama Yeshe and Lama Zopa Rinpoche while at the same time serving current students and the entire FPMT family as well. We cannot do all this without you. As we embark on another year of this precious work, we invite you to join us in our mission to bring peace and happiness to the world, one mind at a time. Thank you so much! 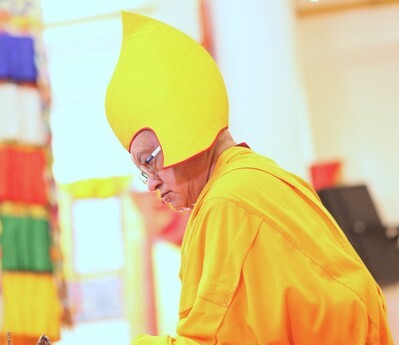 For over 20 years the Lama Yeshe Wisdom Archive has been fulfilling its mission to preserve and share the teachings of our precious gurus, Lama Thubten Yeshe and Lama Zopa Rinpoche, bringing immeasurable benefit to countless beings around the world. In this time of turmoil, violence and dissention, the work that we do together—making the wisdom of our teachers available to all—is needed now more than ever. From the free books that we have been publishing since our earliest days to the tens of thousands of pages of teachings freely available on our website, LYWA reaches students who might not otherwise have access to the teachings. In addition we provide ebooks from a variety of ebook vendors, audio recordings on our website and the newly-redesigned LYWA podcast, and video on the LYWA YouTube channel, where you can see Rinpoche teach on the value of this precious human rebirth and our potential to free ourselves and all others from suffering. In recent years we have also been publishing free multimedia titles, bringing to life the Archive’s varied resources of text, images, audio and video. By weaving Archive resources together in this way we hope to provide the means for you to deepen your experience of the teachings—the next best thing to having attended the teachings in person. And staff and volunteers around the world are producing translations of LYWA publications in 16 languages that are distributed through foreign language publishers and on our website. Doing this practice is an unbelievably powerful way to collect the most extensive merit and to purify the negative karmas collected during beginningless rebirths. 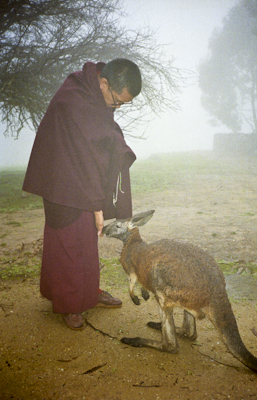 It is a most powerful way to develop realizations, especially compassion for sentient beings. Doing Chenrezig meditation-recitation can really purify any negative karma and is the quickest way to achieve enlightenment. Don’t miss the opportunity to do this practice. And the harder you find it to do, the better it is, because you will purify more negative karma. As well as bringing powerful purification, however, it helps you to develop so much compassion for sentient beings. Retreats gives us the time to do the necessary inner work, to rejuvenate, reconnect, and develop the real Dharma to fuel our everyday lives in midst of trauma occurring in our collective state. LYWA gives you access to the teachings that support and deepen your time on the cushion, helping you to reflect deeply on the teachings and internalize them, and develop the wisdom and compassion to respond skillfully to the harmful actions and negative speech we encounter almost daily. The books published by LYWA are distributed around the world, to individuals, centers, libraries and prisons. In the coming year we are on track to publish: Big Love: The Life and Teachings of Lama Yeshe; The Lam-rim Year, an easy-to-use resource that will provide 365 days of inspiring quotes and commentary from Lama Yeshe and Lama Zopa Rinpoche, with a smart-phone app also planned; a redesigned Bodhisattva Attitude; Lama Yeshe’s Gyalwa Gyatso teachings and much more. Books help us to make space in our lives for study and reflection, even if we are not away on a retreat. They help us make a contribution to peace in the world by developing peace of heart and peace of mind. We are grateful to all of you who support our work and the publication of these precious books. So many of our problems in life, especially relationship problems and many other things, for example, sicknesses that cannot be cured, we can use Shantideva’s quotation and apply this in all the situations that we can’t manage, that we can’t change now. This immediately stops the unhappiness and then we can accept it. When we accept it, basically—especially the second one, if we accept it, since it’s something we can’t change, if we accept it—then our unhappiness stops. That’s another way, then there’s happiness in the life. With your support LYWA is able to engage in with others in our community in a variety of ways. We send free books to prison chaplains around the country, so that they can establish libraries to be shared by all the prisoners who come through the prison. And we provide our free books to Dharma centers, so that visitors and students can take the Dharma home with them and facilitate their connection to our teachers, the teachings, and the Center. And every day we spread the message of peace and compassion daily to hundreds of thousands of people through our vibrant presence on social media sites such as Facebook, Twitter, Instagram and Google Plus, accessing the Lamas’ timeless wisdom wherever they are. What is missing from our daily life, our actions? Following the inner method is what is missing. Lacking, having not achieved the inner method, we are still not released from confusion, from the problem of the sufferings that we have to experience again and again. As Rinpoche explains, if Dharma is missing from our lives we cannot work for the happiness of future lives, we cannot create the cause of liberation from beginningless cyclic existence and we cannot attain enlightenment for the sake of all sentient beings. If you are reading this, the Dharma is not missing from your life and you have all these amazing opportunities. But most people do not have this good fortune and here at LYWA we are doing our best to rectify that situation by making the Dharma freely available to everyone, everwhere. Please partner with us to benefit beings the world over by spreading the precious teachings that are the key to the happiness of all. Thank you all so much.